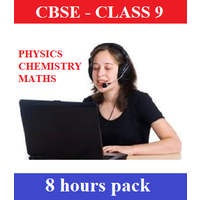 Online mock tests, online chapter-wise practice tests, printable worksheets and sample question papers for Class 9 students preparing for Science Olypiads (NSO, iOS, NSTSE, NISO, ASSET Science, ICAS/IAIS Science), Maths Olympiads (IMO, iOM, ASSET Maths, NIMO), Cyber Olympiads (NCO, UCO, iIO, ICAS/IAIS Digital Technology), English Olympiads (IEO, iOEL, UIEO), G.K Olympiads (SKGKO, IGKO, iGO) and others. IMO, iOM, IAIS Maths, ASSET Maths, NIMO, NSTSE. NCO, iIO, ICAS/IAIS - Digital Technology, ICO and UCO. IEO, iOEL, ICAS/IAIS English, ASSET English and UIEO.